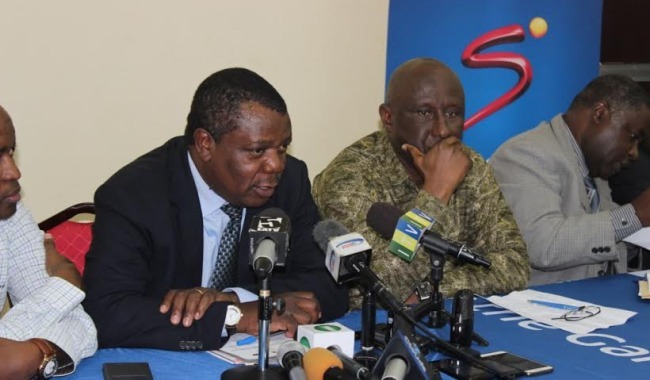 FIFA refereeing development officer, Mr. Ahmed El Shenawi, said he sees signs of progress in Somalia, naming the country’s FA president, Abdiqani Said Arab, a ‘symbol for Somali sport’ in general. Mr. El Shenawi made the comment during his address at the opening ceremony of FIFA MA refereeing course for Somalia, at SYL hotel in the capital Mogadishu on Tuesday. After thanking FIFA for its commitment to develop football around the world, Mr. El Shenawi, said it was time to thank a hardworking soldier. “This man is a symbol for Somali football and sport in general” the FIFA official said pointing at Somali Football Federation president, Abdiqani Said Arab, who sat next to him. “I first met him in 2009, the situation in Somalia was not good and this man was fighting for Somali football, because the last FIFA refereeing course was held in Somalia 1980s and after that there was no course for Somali referees due to lawlessness” he added. “I was so astonished because it was very difficult. He arranged the Somalia courses in Djibouti. He was very young at the time, but had a big mind, he was not president, but today I am very happy because he is the president of Somali Football federation and that man is Abdiqani Said Arab” Mr. El Shenawi explained during his speech. Mr. El Shenawi said that it was a good experience for him to conduct a course for Somalia in Mogadishu for the second year running, adding that Somalia has a huge place in his heart. Previous courses were held in neighboring Djibouti for security reasons. Directing his speech at the Somali people, Mr. El Shenawi said “I would like to say to you don’t worry, because you are between safe hands. This man [Abdiqani} is looking after Somali football, so you should assist him and give him a push”. 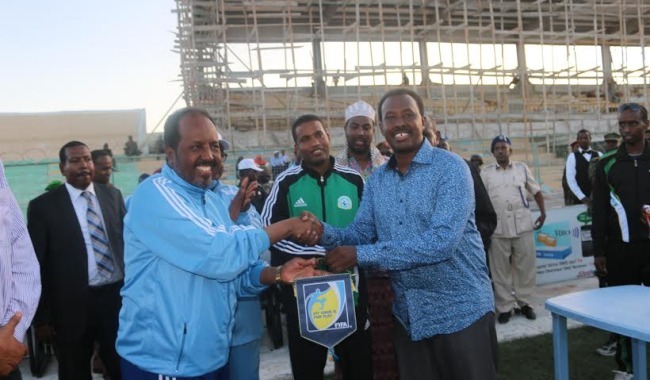 Former Somali National Olympic Committee president and NOCSOM Honorary Life president, Abdulkader Ibrahim Ga’al, praised Somali Football Federation officials for the hugely needed development programs under way in the country. He said that the construction of football facilities and the promotion of football knowledge in the sectors of refereeing, coaching and administration were fully appreciated. 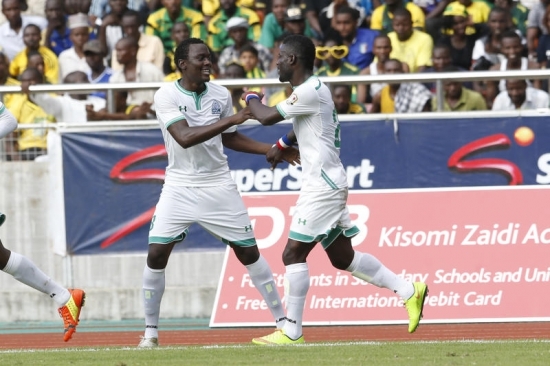 “Football was played in Somalia in 1939, that is pre-independence period and after independence football in the country began to grow, but I declare that the current level of football is more sophisticated and even more developed than what we had during the period 1960-1990 and that is because the knowledge of football has grown” said Mr. Ga’al who is now in his 80s. Somali Football federation Senior Vice president, Ali Abdi Mohamed, added that for the past 5 years, his federation has been prioritizing the enhancement of knowledge in particularly, refereeing, coaching and administration which are very important for the promotion of football. But he added that SFF spent much energy and time in the refereeing development area than any other sector. He sent a big thank you to Somali referees for making a great performance in African competitions for the past several years, saying this was because of FIFA’s efforts to educate Somali soccer referees. 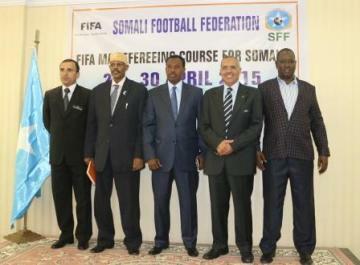 The president of Somali Football Federation, Abdiqani Said Arab, who delivered a short address at the launch of the FIFA MA seminar, first lead a prayer session in remembrance of former Somali FA and Somali NOC president, Farah Addow, who had spent a forceful commitment to develop African referees and spent nearly 20 years of serving as chairperson of CAF referees committee. “Coming to this event, I would like to thank FIFA president, Joseph S Blatter and his committee members for their commitment to helping Somali football continue to develop in this war-ravaged country” the president said adding that FIFA RDO officer, Ahmed El Shenawi and his colleague instructor, Hassan Mohamed Hassan, were very praiseworthy for leaving their families and friends simply to educate Somali referees. “On behalf of the entire football family in Somalia, I would like to highlight how hugely we are appreciating the commitment by our minister for youth and sport, his deputy and the rest officials at the ministry who are always beside us in all efforts regarding football promotion” the president noted, before handing over the microphone to the deputy minister for youth and sport, Osman Aden Dhuubow. “Witnessing such a high profile course from FIFA being held in the country with FIFA officials coming to Somalia, means a lot to me. I thank FIFA president Joseph S Blatter for this gear approach” said the recently appointed deputy minister for youth and sport, while addressing at the opening ceremony of the FIFA MA course on Tuesday. “The name FIFA, is very great, because people in every tiny village in the world know FIFA, because of football’s huge influence, so on behalf of Somali government, I am really very happy that FIFA arrive in Somalia and I want to thank SFF president for developing good co-operation with FIFA” the deputy minister emphasized before announcing the course was open. A total of 25 elite referees including national and international, are benefiting from the three-day course which is being conducted by FIFA RDO officer, Ahmed El Shenawi (Egypt) and Hassan Mohamed Hassan (Jordan).